Prior to enlisting he was a weaver at Messrs. Collinge bros., Mill, Burnley Wood. he lived at 4 Burton Street, Burnley. Husband of Mrs Brunt of 58, Nairne Street, Burnley. He had a Hairdressing business on Trafalgar Street, Burnley. 24th March 1917, aged 27. 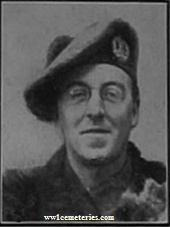 5th March 1917, aged 41. 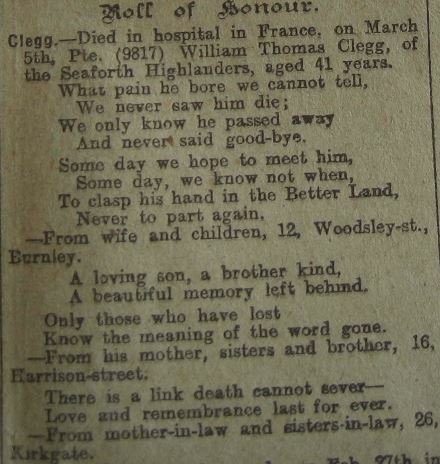 Husband of Alice Clegg, of 9, Valley Gardens, Hapton, Burnley. formerly of 12 Woodsley Street, Rosegrove, Burnley. He died of Bronchitis and prior to enlisting was a weaver at Messrs. Spencer's Imperial Mill, Burnley. Son of Albert and Ada Collins of Bloxham, Oxfordshire. 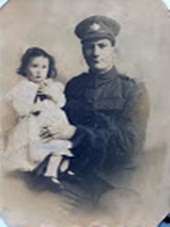 Husband of Kathleen Collins and father of Rosina 1916 (pictured) and Ada 1918 of Coventry. 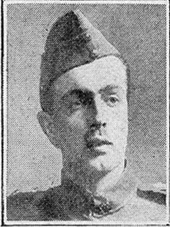 29th April 1917, aged 27. Thomas died leaving a wife, Sarah Ann nee Bywater and 2 children, my father Thomas b. 1911 and a daughter Sarah Ann, b. 1912, all living in Doncaster, Yorkshire. The Additional information on the CWGC site is rather confusing and incorrect. Grandfather was actually born 19 Nov 1889 in Wigston, Leicestershire and his name registered as Edgar Dawtry HALL. He was the recognised but illegitimate son of Arthur DAWTRY and Elizabeth HALL. Sadly his mother died just days after his birth and he was given to his fathers sister Hannah to raise. Hannah was married to Thomas Bagshaw. Grandfather was known a Thomas Bagshaw until sometime shortly before his marriage when he reverted to his biological father's surname but kept his "new" forename. Hence the confusion over names which I'm sure originated with Sarah Ann not the CWGC. 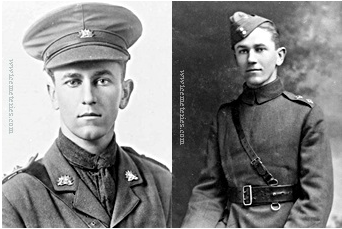 13th April 1917, aged 19. Son of James and Marion Ewan, of "Craigrothie," Aberdour Rd., Burntisland, Fifeshire. 14th July 1917, aged 23. Son of Walter and Emma Louisa Foreman, of 12, Vautier St., Elwood, Elsternwick, Melbourne, Australia. 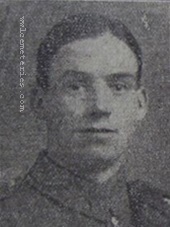 22nd May 1917, aged 21. Son of Mr. G. H. and Mrs. R. Gaskell, of 53, Evelyn St., Burnley. 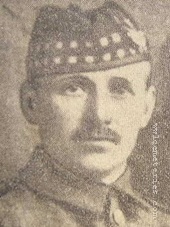 Born in Inniskilling, he was a tape labourer at H. Walton's Coronation Mill prior to enlisting. Son of Serjeant G. H. Gaskell, a veteran of the South African wars. 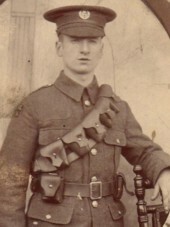 5th June 1916, aged 25. Son of John and Mary Grant, of 62, Gordon St., Aberdeen. 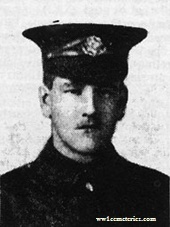 2nd May 1917, aged 30. 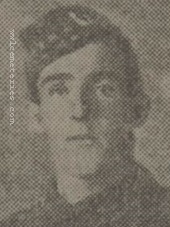 Son of Henry and Betty Greenwood; husband of Margaret Greenwood, of 21, Sandhurst St., Burnley. 24th April 1917, aged 32. Son of Henry and Sarah Harris, of 68, Wilberforce Rd., Finsbury Park, London. 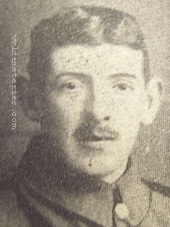 7th May 1916, aged 33. 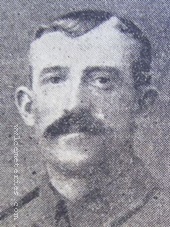 Son of Henry and Hannah Harrison of Burnley. Lived at 33 Berry Street, Burnley. 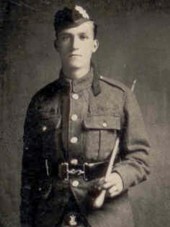 30th April 1916, aged 23. 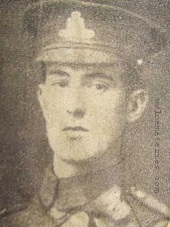 Son of Thomas and Sarah Ann Johnson, of 1, Legh Rd., New Ferry, Birkenhead.